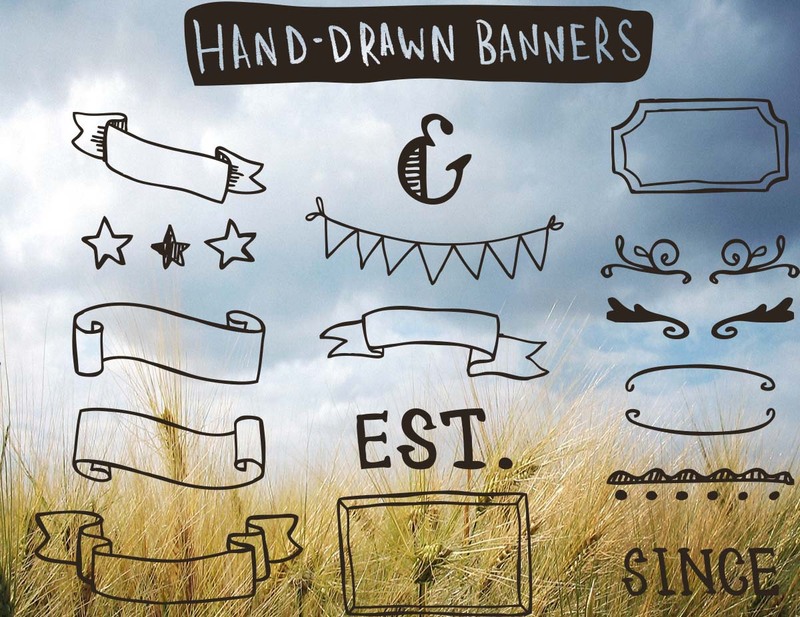 Charming hand-drawn banners, ribbons, and other vintage-inspired elements. File format: .ai, .png for Photoshop or other vector software. 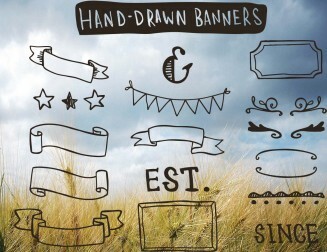 Tags: badge, badges, banner, brand, branding, doodle, doodles, drawing, drawn, flourish, hand drawn, header, illustrated, illustration, invitation, logo, retro, ribbon, vintage, wedding.